Otolith — the ear stone — is a series of bones that help us to orient ourselves in space. 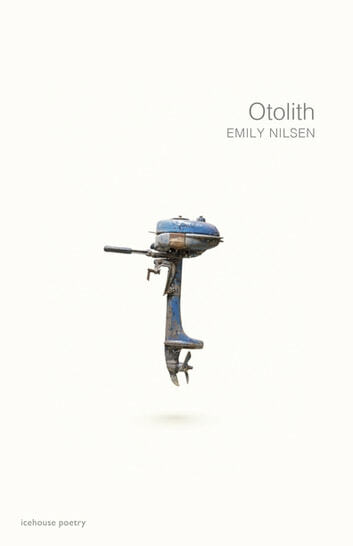 In Otolith, Emily Nilsen attempts a similar feat in poetry: to turn the reader's attention to their relationship to the world, revealing an intertidal state between the rootedness of place and the uncertainty and tenuousness of human connection. Born in the fecundity of British Columbia's coastal rainforest, these poems are full of life and decay; they carry the odours of salmon rivers and forests of fir; salal growing in the fog-bound mountain slopes. This astonishing debut, at once spare and lush, displays an exquisite lyricism built on musical lines and mature restraint. Nilsen turns over each idea carefully, letting nothing escape her attention and saying no more than must be said. 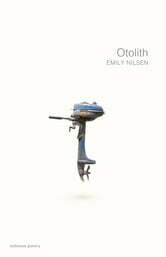 Combining a scientist's precision and a poet's sensitivity, Otolith examines the ache of nostalgia in the relentless passage of time.